A frequently requested feature from customers and partners have been around the Storage Profile APIs and with the upcoming vSphere 5.5 release, it will now be possible to automate the management and consumption of Storage Profiles. In vSphere 5.5, Storage Profiles has been renamed to VM Storage Policy and they have been enhanced from the previous version of Storage Profile. 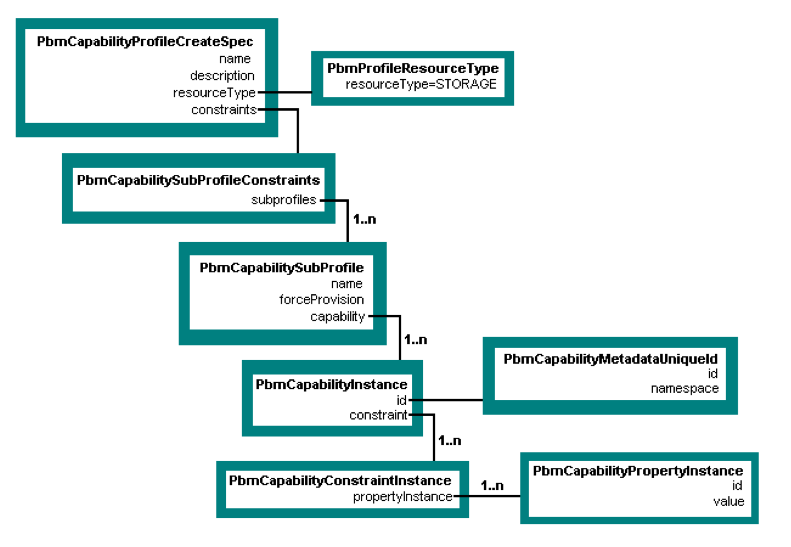 VM Storage Policy introduces new concept of a rule set also known as a sub-profile or sub-policy from an API perspective. 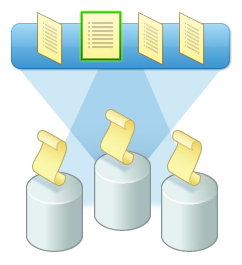 A VM Storage Policy can contain multiple rule sets which describes a requirement for a virtual machine storage resource. Each rule can either be an underlying storage capability or a user defined vSphere Tag. One important thing to note about the VM Storage Policy API (SOAP API), is that it is exposed as a separate API endpoint (similar to how the SMS API is exposed) on vCenter Server and it will not be accessible through the normal vSphere API. To consume this API, you will need to connect to the PBM (Policy Based Management) Server which requires an authenticated vCenter Server session. A great way to learn and explore the new SPBM API is to check out the SPBM MOB. For managing and creating VM Storage Policies, you will need use the new VM Storage Policy API and for consuming and assigning VM Storage Policies to a virtual machine, you will need to use the vSphere API. When provisioning or cloning a virtual machine, there is a new profile property that denotes the MoRef ID for a particular VM Storage Policy. As part of the VM Storage Policy API, there will be a Java SDK that includes a programming guide that goes over the VM Storage Policy API in greater detail as well as several sample programs exercising the various API methods. Since the VM Storage Policy API is a SOAP API similar to the vSphere API, the WSDL will also be available if you wish to generate your own language binding to the API. In the screenshot, you will see four VM Storage Policy being shown, one which I had created earlier and there others which are VM Storage Policies created by VSAN. You will notice that you will need three pieces of information when connecting: vCenter Server endpoint, SSO Server endpoint and PBM Server endpoint. You can find more details by referring to the VM Storage Policy Programming Guide and VM Storage Policy API reference. first of all,Thanks, very helpful article. However, i tried to connect to the pbm service as suggested (but with c# code). I manged to connect with it to the vimService and retrieve the cookie. When i tried to connect (Retrieve service) to the pbm service with the cookie, i’m getting “vim25:SecurityErrorr”. Did you ever get this to work Shahar? I am having the same issue… been trying for awhile now. the problem was with where I set the cookie. However, this is not the only place we need to add the cookie. we need to add the cookie to the header. Thank you very much for the quick reply! and of course the solution!!! I had tried each individually but not together. So happy I can stop banging my head on this… thank you again! One more question if have the time, I must be missing something… how are you applying the custom soap header in the class generated from the wsdl? Also, for the cookie being added did you have to change the key from vmware_soap_session to vcSessionCookie as they did in the java samples? Hi, did you change the key from vmware_soap_session to vcSessionCookie as they did in the java samples? sorry, i wasn’t working the last two days. you are right, the XmlTextAttribute() will do the trick. I have not ran across that yet, though I am still developing so haven’t had the vSphere(vimservice) session open long enough at this point for the session to time out. Is your session timing out to vSphere and the pbmService session is still active during that time the scenario, or are you opening up a new pbmService after the vSphere session was reconnected? Thank you for this helpful article. I have couple of questions related to VM Storage Policy that I would like to ask. Is there a way to list all the VM Storage Policies using vSphere API? As you mentioned, we can do it using VM Storage Policy API, but what I am trying to do is to use vSphere SDK to get the Id of already created profile and assign it to a VM’s Virtual Disk. Also can we create a VM Storage Policy with Rule-Set using VM Storage Policy API? 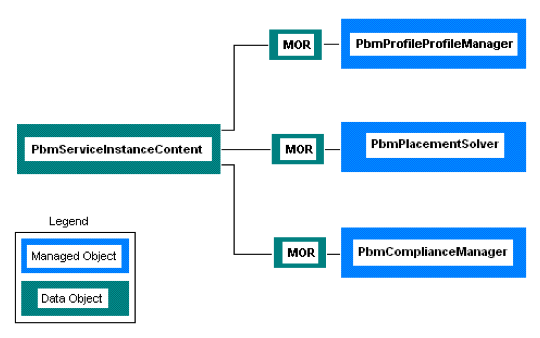 I don’t PbmProfileProfileManager.PbmCreate API taking any Rule-Set related parameter.